January 31, 2016  Ambivalence about refugees runs high in Denmark. Danes are critical of a new law requiring police to take cash and valuables from asylum seekers. But they're also nervous about rising refugee numbers. January 25, 2016  The Danish government is determined to persuade asylum seekers not to come to Denmark. 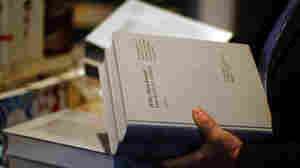 Its plan to order police to seize cash and valuables from asylum seekers is sparking an outcry. January 25, 2016  The welcome for migrants hoping to build new lives in Europe is wearing thin. 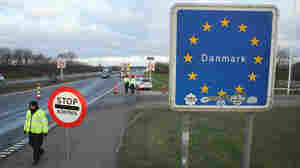 Denmark, which has taken in relatively few asylum seekers, is doing everything it can to stop any more from arriving. January 24, 2016  Poland's new parliament has restricted the country's constitutional court and has put women undergoing fertilization treatments, in addition to others, in a tough position. January 23, 2016  In an effort to deter refugees, a controversial bill in Denmark calls for police to confiscate cash and valuables from arriving asylum seekers. 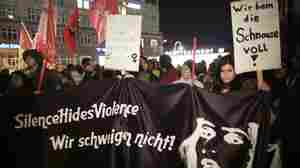 January 21, 2016  North Africans are blamed for recent attacks on German women. Police are raiding their communities — including the largest one in Duesseldorf. Some longtime Moroccan residents are fighting back. January 13, 2016  The ruling Law and Justice party in Poland has moved swiftly to control the Polish media and curtail the powers of the country's constitutional court. The actions are alarming Polish critics. January 12, 2016  At least 10 people, most of them German tourists, are believed dead after an apparent suicide bombing in Istanbul, Turkey. January 6, 2016  Police are investigating dozens of sexual assaults that occurred during New Year's Eve celebrations in Cologne. The police chief has been criticized for his officers slow reaction to the assaults. January 5, 2016  Police in Cologne are investigating reports of sexual assaults that occurred during New Year's Eve celebrations. Thousands were packed into the city's main square when the attacks occurred. January 1, 2016  Many of the city's residents already complain that the sounds are like a war zone on New Year's Eve. Imagine how that might affect asylum seekers who have just escaped from real wars. December 26, 2015  Germany is struggling with 1 million migrants who applied for asylum this year. Officials say the key to integration is education, and many schools have made accommodating migrants a priority. December 25, 2015  Germany has been generous in welcoming refugees, but is stepping up deportations to dissuade more from coming. Chancellor Angela Merkel says many Afghans seeking asylum shouldn't expect to stay. December 21, 2015  A majority Germans are afraid of what the coming year will bring, according to two new polls. That's a significant increase over last year, when less than a third of Germans surveyed felt that way.